We are huge fans of Google AdWords. It gives your company short term gains and an almost instant return on investment. However, not everyone should be using AdWords. Occasionally people will ask if they should start utilizing AdWords even thought their website isn’t finished or is undergoing major changes. The answer is “No”. Obviously we don’t want to send users to a website that isn’t finished or functioning correctly, as this pertains to a poor user experience. Google uses your landing page and the interactions users have with your landing page to determine things such as how much keywords will cost, how often the ads will be shown, and the quality of the ads. If your website has confusing navigation, looks unappealing, or doesn’t function in a way that makes sense, then we recommend avoiding AdWords until these things are corrected. Again, it’s all about user experience. If you drive tons of traffic to your site but the user has no idea where to go or what to do, then you’re money should not be invested into Google Adwords… yet. AdWords is awesome but it won’t make up for bad SEO. You don’t want a majority of your traffic coming from AdWords either; ideally, a majority of traffic should be organic with AdWords as a supplement. Also, poor or ignored SEO will typically impact the user experience of your website which is to be taken seriously. Search engines “listen” to users, so the worse the user experience, the more poorly your ads will perform. And we don’t want that! If you have a hard time telling people what it is you do and why they should care in 1-2 sentences, then you shouldn’t be using AdWords. AdWords can do a lot of things but it can’t define your organization for you. You and your team need to know how to clearly communicate your organization and its goals before running an Adwords campaign. 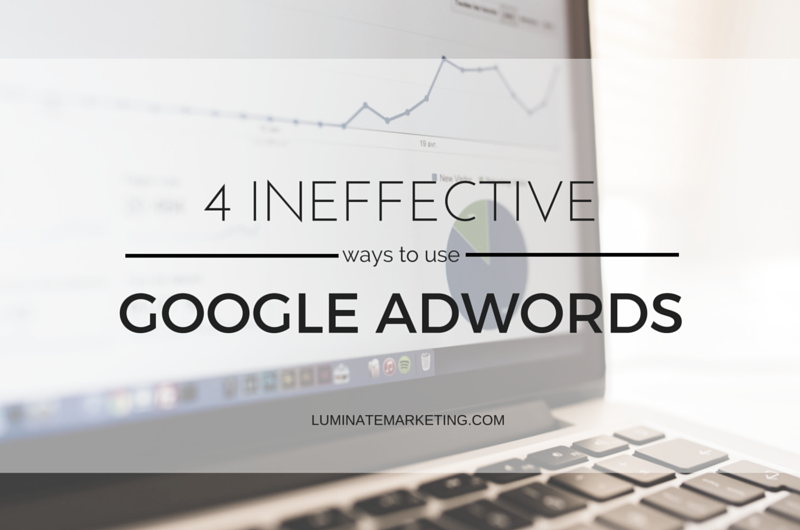 Likewise, if you aren’t sure why you’re using AdWords, then you shouldn’t be using it. AdWords works best when you have a specific goal that you are trying to accomplish such as advertising an upcoming event or getting people to sign up, apply or purchase something. Google AdWords isn’t for everyone. We can’t stress enough the importance of improving your website user experience and SEO before diving in to AdWords.